Cassandra Filice began editing while completing degrees in English, Comparative Literature, and Classics from McMaster University. She gradually expanded her skills, credentials, and clients while also teaching high school English. 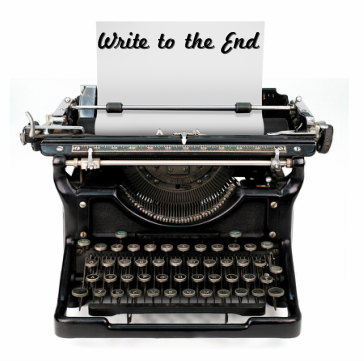 After an eight year teaching career, she now focuses exclusively on Write to the End. She has worked with not-for-profits creating web content, large national organizations writing books for clients, and individuals working on a variety of materials, from dissertations to memoirs. Her teaching background has provided her with a broad range of knowledge, creativity, and passion that she brings to her work. Cassandra has a particular interest in mental health and has many years' experience editing and creating content related to mental health in the workplace. ​She is a member of the Professional Writers Association of Canada and the Editors' Association of Canada. She has completed courses on substantive editing, copy editing I & II, plain language, and stylistic editing. Other credentials include a Bachelor of Arts in English and Comparative Literature, a Masters in Education, and her Ontario Certified Teacher licence. ​She divides her time between Southern Ontario and Eastern Newfoundland.